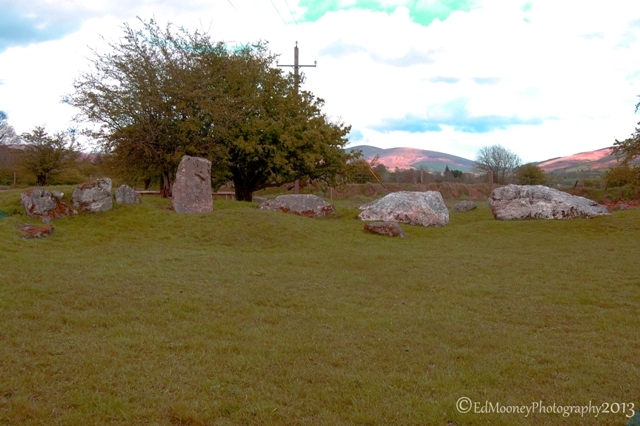 I am skipping on some more sites from Tallaght today to show one of my all time favorite sites. 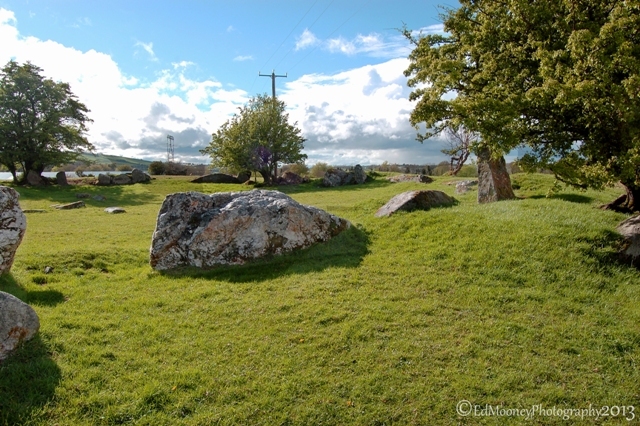 The Stone Circle at Castleruddery is a truly fascinating place. I recall my last visit here was about ten years ago, at about two or three in the morning, there was no moon so the area was in complete darkness. Using a torch, until I made my way to the centre of the circle safely. I just sat there, soaking in the peaceful atmosphere. This place is bursting with raw energy and can be felt if you take the time to notice. 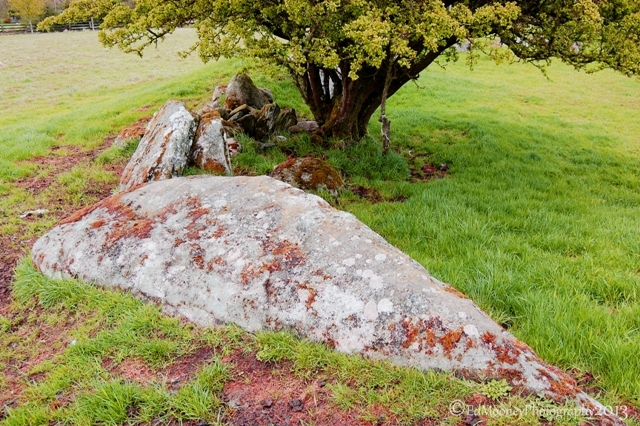 This site belongs to one of the rarest ceremonial monument types in Ireland. 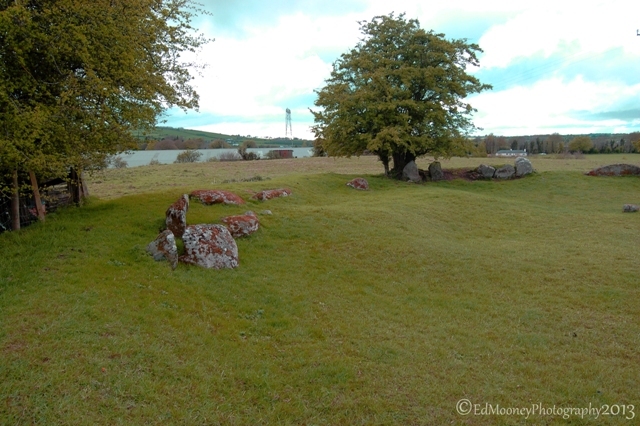 The site is known locally as a stone circle but it is more of what is known as a henge, which is an embanked enclosure. 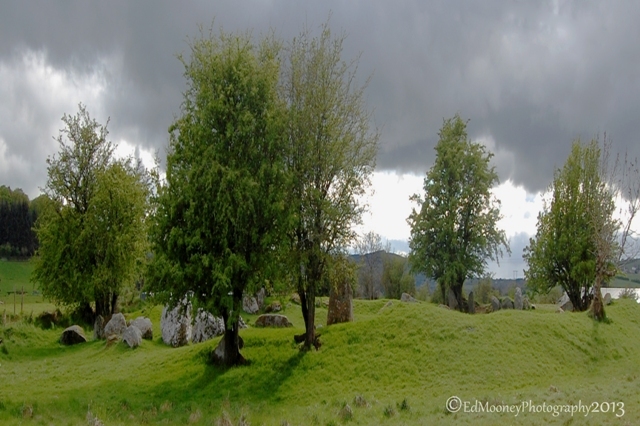 These sites date back to the late Neolithic and early bronze period which would be in and around 2500 B.C. 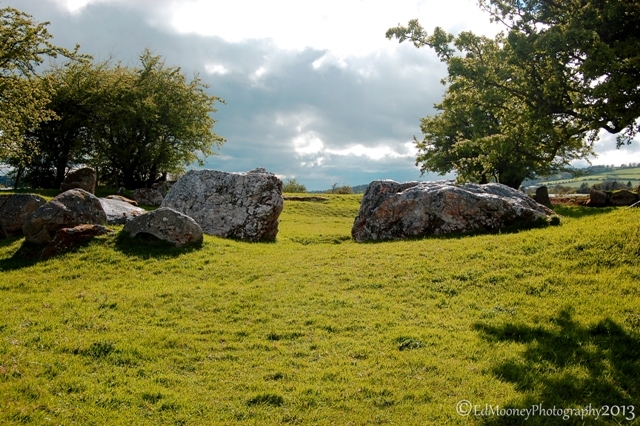 Although these sites are known for their alignment to significant astronomical events, but there is no doubt in my mind that they were more than just an ancient solar calendar. There is still far too much energy in the area for it not to have been taken advantage of for other purposes by our ancient ancestors. 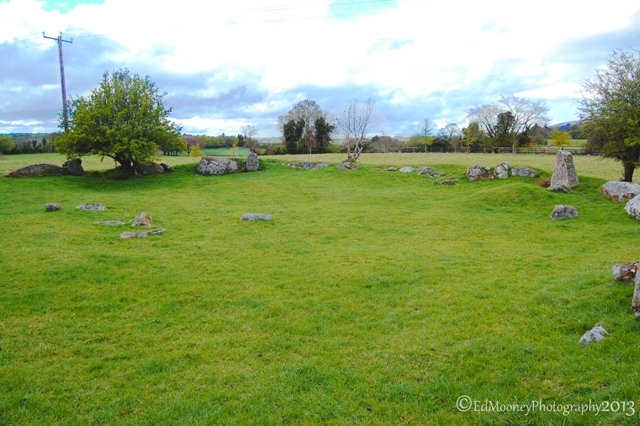 The site was once known as the Druids Circle and consists of an earthen bank approx 30 meters in diameter and around 1.2 meters high. 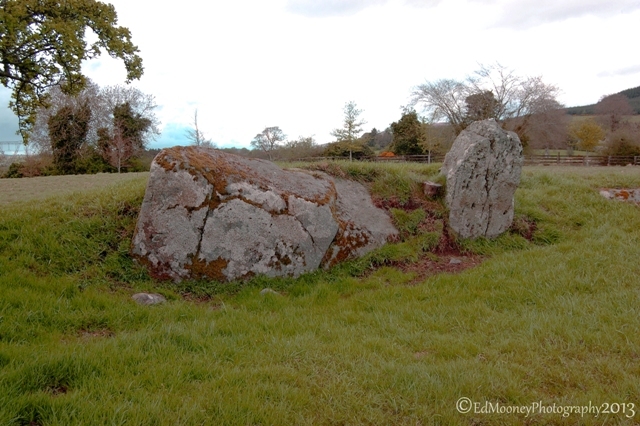 The south east entrance to the enclosure is flanked by two massive quartz portal boulders which I would estimate to weigh in excess of 15 tonne each. 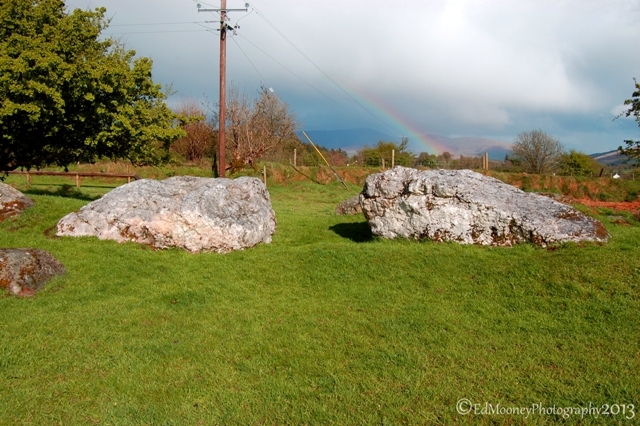 There are a further 29 large stones, some of which have collapsed to complete the circle. 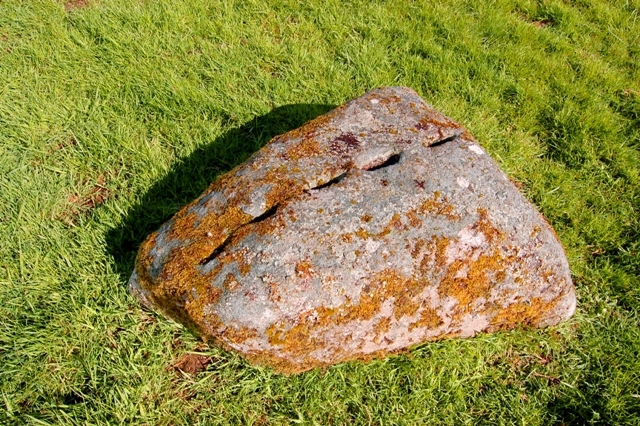 A closer inspection of some of the stones reveal various cup markings. The enclosure is surrounded by an outer ditch some 60 meters in diameter which can only be properly see from aerial images, which looks very similar to crop markings. 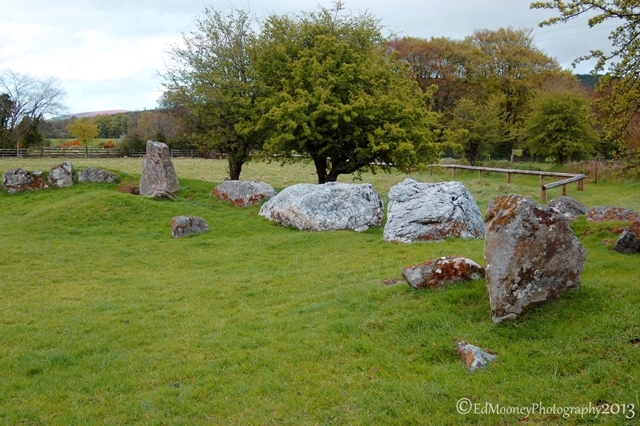 There is no record of any excavation at Castleruddery stone circle but its similarity to the Grange stone circle at Lough Gur, in Co. 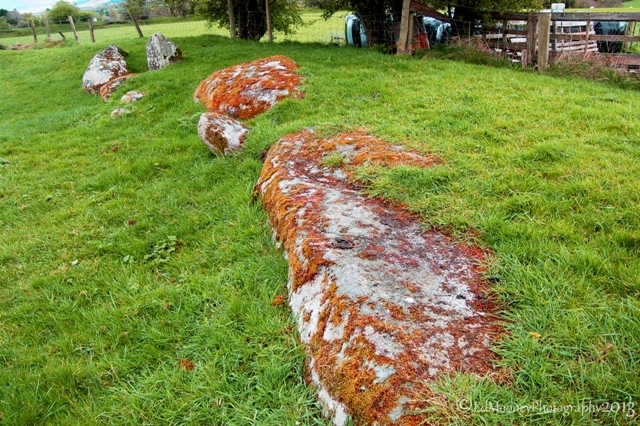 Limerick would suggest it dating back to late Neolithic and early bronze period as correct. Since I last visited, the land here is said to have changed hands and the current owner has put up a stile in the fencing to access the field. In its day a it must have been a truly magnificent sight to see. Even if you have no interest in ancient ritual and places of power, just stopping to think how these monuments were constructed is mind boggling. The circle was once thought to have special healing properties. 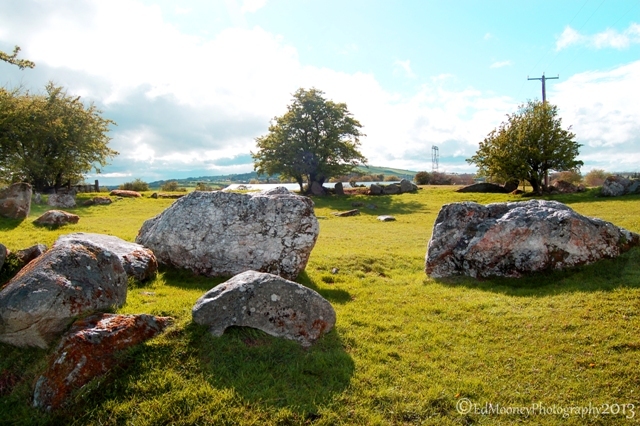 This entry was posted in Diary of a Ruinhunter, Historical, Landscape, Nature, Neolithic, Photography, Places of Interest, Ruins, Stone Circle and tagged 2500B.C. 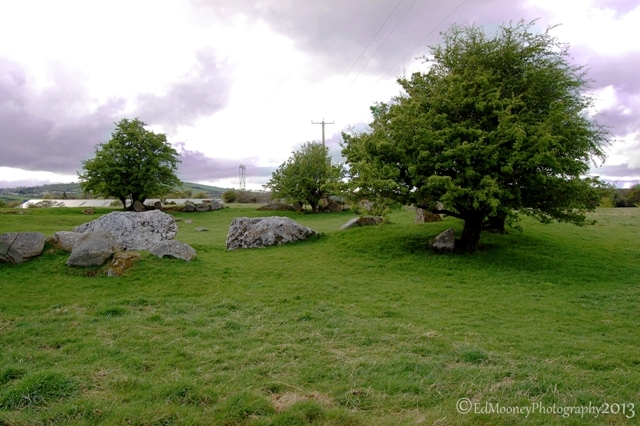 Alignment, Ancestors, Ancient, Astronomical, Boulders, Bronge Age, Castleruddery, Ceremonial, Druids Circle, Embankment, Enclosure, energy, Henge, Ireland, Monument, Neolithic, Portal, Quartz, Stone Circle, Wicklow. Bookmark the permalink. Absolutely stunning! I want to go there! 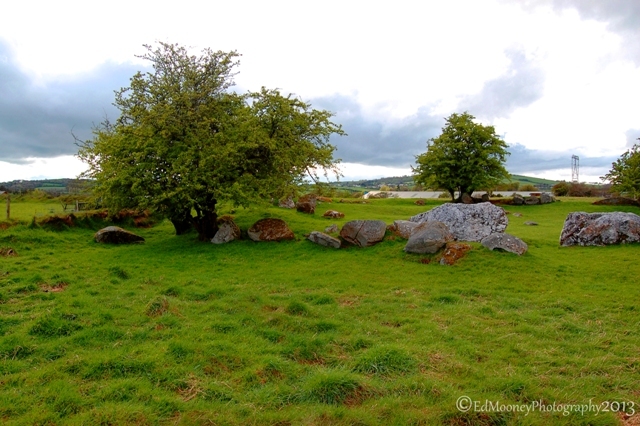 I love the stones but I also love all the old trees dotted around the site – are they hawthorn trees? Lovely gnarled trunks. 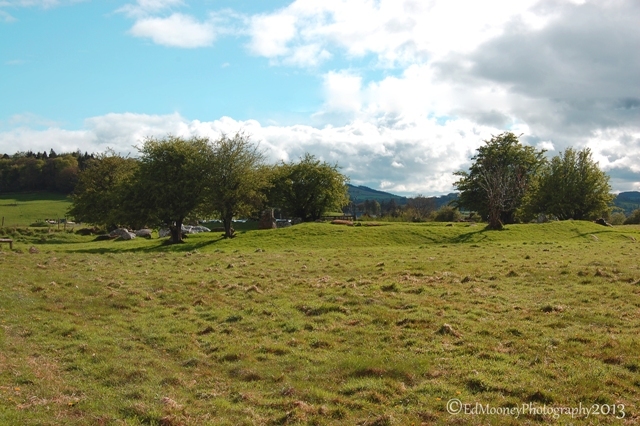 I would so love to see this site when it was complete and intact – and what went on there. Ohh, I would really love to visit! I’m guessing the atmosphere at 3 am on a dark night was quite something. 1st picture is wallpaper quality! “green” snaps! Great photos. I love the rainbow in that second picture! How wonderfully evocative. 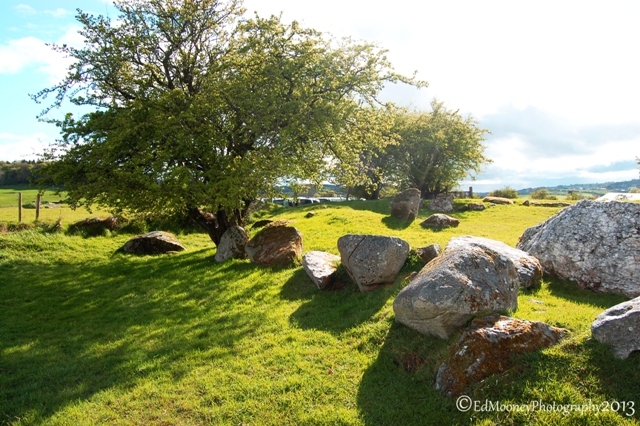 I know what you mean about the power of these places, our nearest are the Rollright Stones – I’ve been there at dusk and the hairs on the back of your neck tingle. It has a lovely legend that says you always get a different number each time you count them. Beautiful photographs. 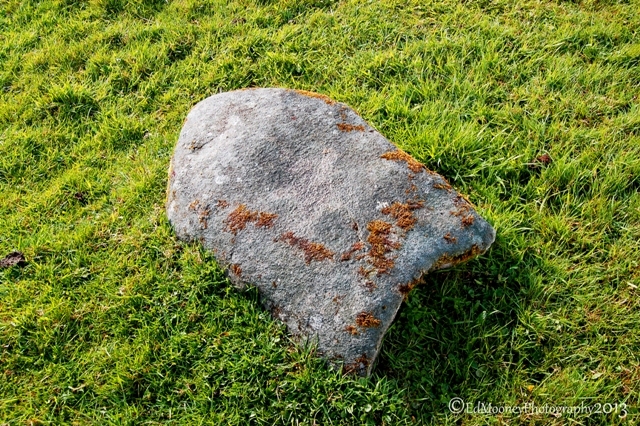 Stones do look beautiful. Enchanting place. I live on the wrong side of the planet. Visited Dublin last summer with my daughter. Looking at your brilliant photos makes me wish we could have traveled farther afield! This is awesome. 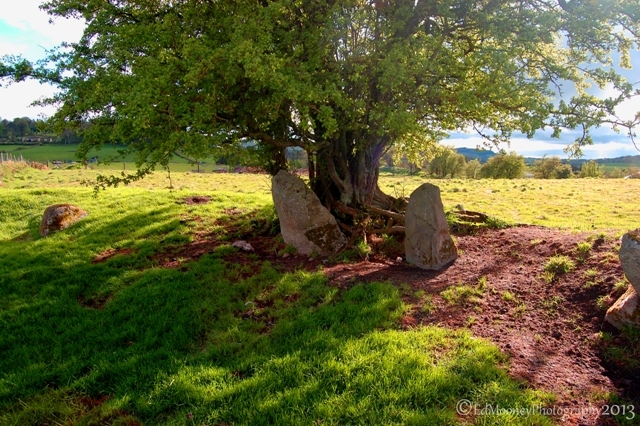 I would love to just sit in this circle as you did feel the energy of the place. I am sooo jealous! Great photos, man. You’ve captured some beautiful shots of this magical place. Whatever your Faith Ed has captured some of the best photographs of Ireland I have seen in a long time, This blog is well worth the visit.